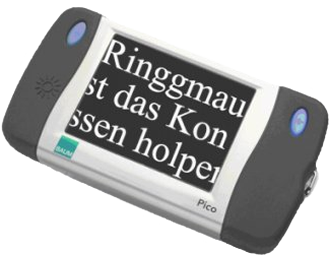 If glasses are not enough, with Pico you have the ability, whenever and wherever you want, to read even tiny written documents. Pico is so small that it fits in your pocket or purse. Because it is equipped with rechargeable batteries, you are again independent and mobile. 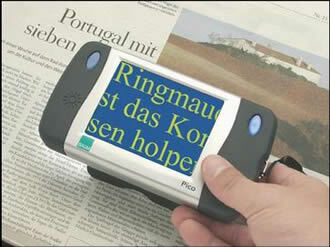 Even on a very low light, with Pico you can read and write. With the help of only two buttons, you can control all the functions of the device. Although it is recommended larger screen to read long texts, however, with Pico you can also read books or magazines. Pico is a product of high technology and high robustness and reliability, with all this you have a convenient price.